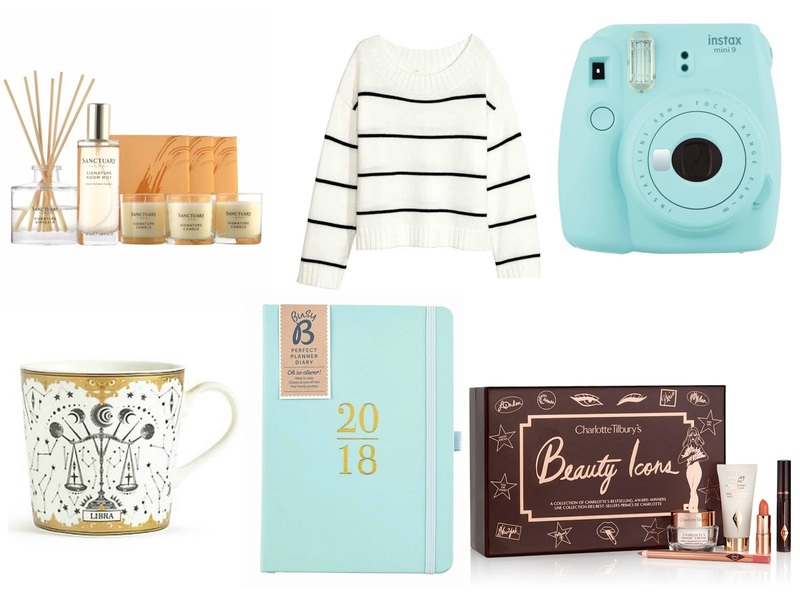 It's not even December yet but I bet you've already browsed a billion gift guides right? Well, I apologise 'cus here's another one for you! I haven't really put together a gift guide for a good few years but I've seen so many lovely things this year that I just couldn't resist sharing a few of my ideas. I've actually already bought all of my other half's presents but was careful not to include any of them because even though I don't think he reads my blog, I can't be 100% sure he won't see it! 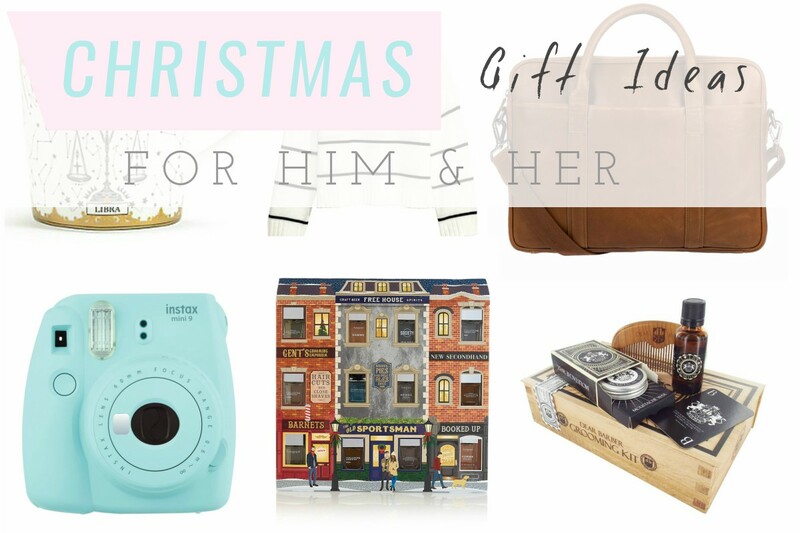 I did however include a couple of gifts in the 'For Her' guide that I've already got - the Instax Mini 8, which is one of the best Christmas presents my parents ever bought me - I have so much fun with it! And the Sanctuary home fragrance set is similar to one I had a couple of years ago, which was so lovely. My mum has also bought me the Busy B 2018 Perfect Planner Diary as one of my presents this Christmas - I picked it out because of the colour and stickers - bet I'm not the only girl sold on planning stickers though right? I feel like men's grooming kits are here and everywhere these days because of the 'beard trend' but I think this one from Amazon is packaged really smartly. Funnily enough though, I decided against buying my other half anything to do with his beard as I assumed it would be a go-to gift idea for other people! I also love the look of the Men's Fragrance House, which is currently on offer at M&S. Their beauty, bath and skincare products are all cruelty-free and as a family, we've always really loved their Christmas offerings. I hope my Christmas gift ideas for him and her have given you a little buying inspiration! 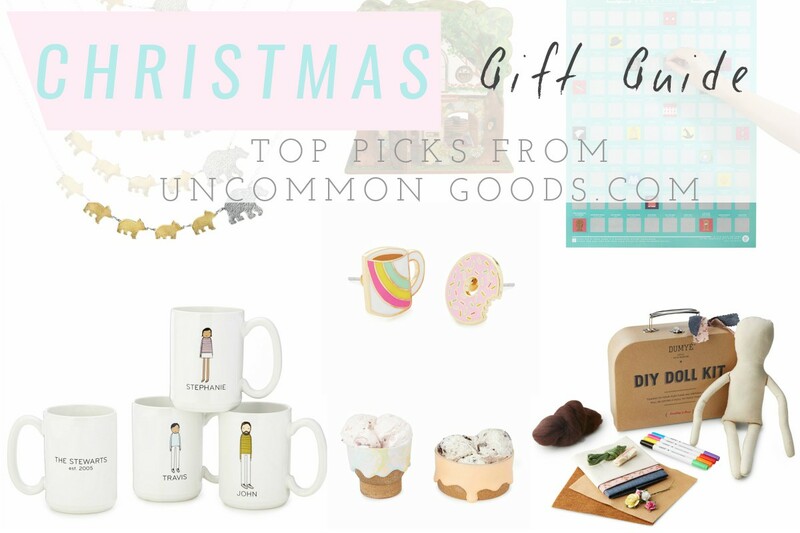 I've also recently shared a Christmas gift guide featuring my top picks from Uncommon Goods so be sure to check that out if you haven't already. 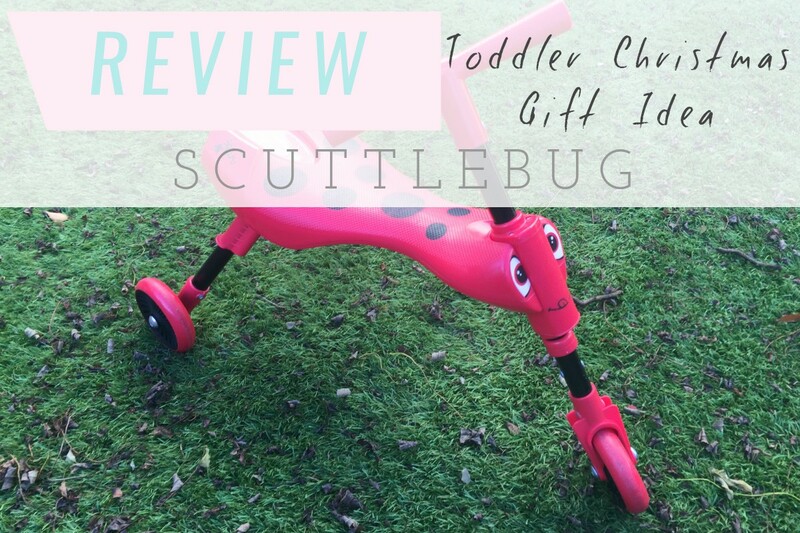 Scuttlebug Review - A great gift for Christmas! With Christmas coming up, I thought I'd share a few reviews here and there of some of Arthur's most-loved toys, as you never know, they could provide a little inspiration for gifting! Today I wanted to tackle the Scuttlebug, which has been a huge hit with him ever since I bought it. 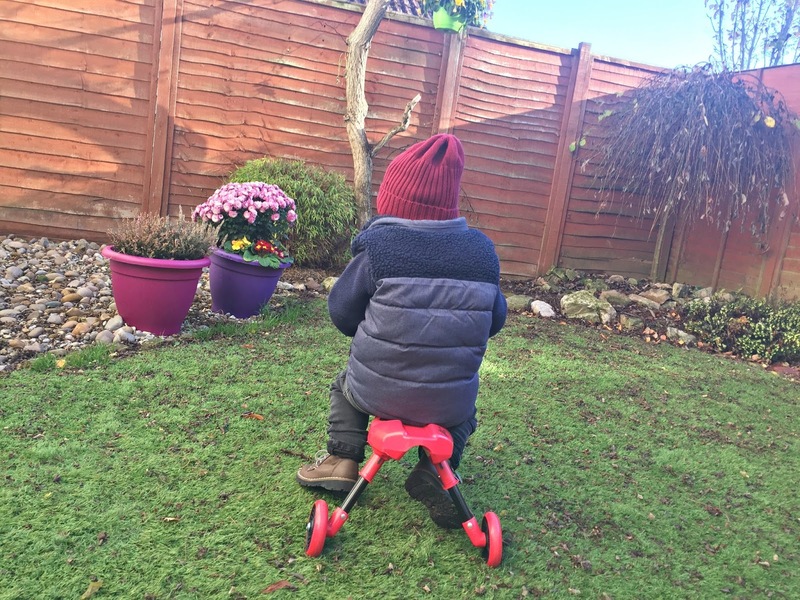 For those not already familiar with the Scuttlebug, it's basically a lightweight ride-on, ideal for toddlers that are active and interested in bikes but not quite ready to balance or pedal! I bought Arthur's earlier this year when he was around 18 months old but it is suitable for ages one year and over. 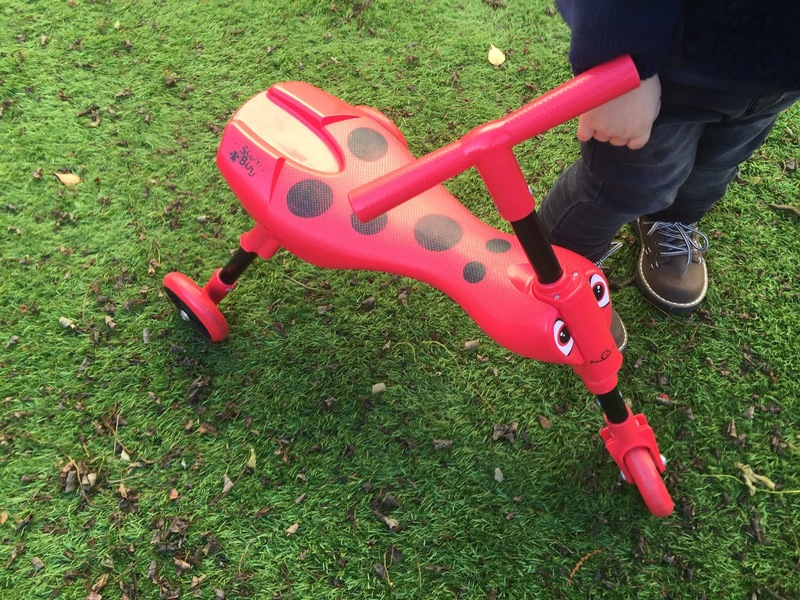 The Scuttlebug is available in a range of different colours and can be used both indoors and outside. Unlike other ride-on toys for toddlers, the Scuttlebug is compact and practical. You can simply fold the legs and handlebars down in just three clicks, making it easy to take out and about for your toddler. Arthur loves using his Scuttlebug in the house but we also regularly take it to the park so he can ride up and down the path. I love that I can carry it along without having to worry about it being too heavy or getting in the way. Arthur finds it really easy to scoot along using his feet and the handlebars make it easy for him to turn left and right. Once you have locked the wheels into place, the Scuttlebug is extremely sturdy, giving you peace of mind that your little one will maintain their balance and safety. The age range is 1-3 years but of course, you have to consider your child's height and weight too. I reckon Arthur will get at least another six month's or so use out of it before he's ready for something a little more advanced. 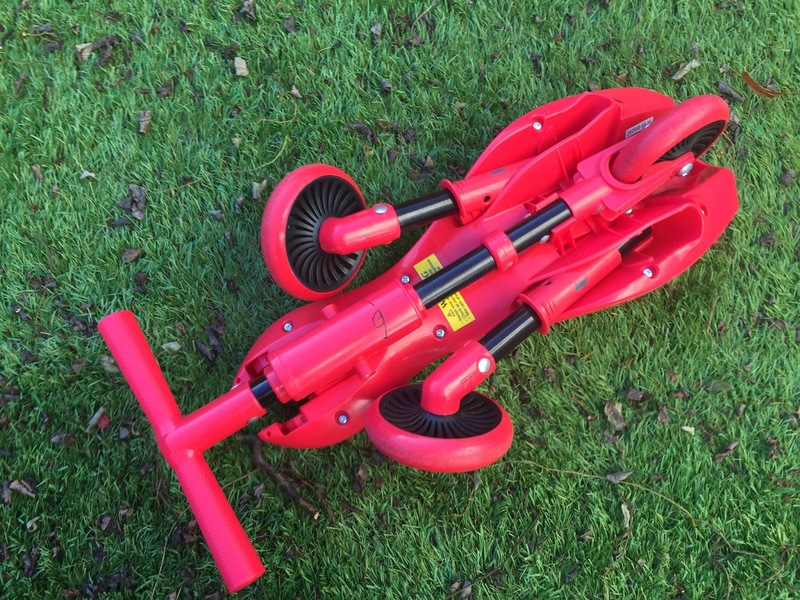 The price of the Scuttlebug is also extremely reasonable - usually around the £20 mark but different designs seem to come with a slightly different price tag. Argos is currently selling Scuttlebugs at £19.99 but it's worth looking on Amazon too, as the Scuttlebug Butterfly is priced at just £15.99. And to top it all off, the Scuttlebug is ready to use out of the box (well almost - you've just got to do the three easy clicks) perfect for excited and impatient toddlers on Christmas Day! The decision whether or not to share photos of your child online can be a tough one for so many reasons. When Arthur was a baby I was willing to share photos of him here on my blog but this past year, I've been a lot more conflicted about doing so. I tend to share more photos on my private social media accounts, where I can control who can see them and more recently, I've been introduced to an app called Lifecake (by Canon), which allows you to share photos privately with the family and friends you choose. It provides a platform where you can share and celebrate little moments of your child's life that whilst insignificant to others, will mean everything to you and your loved ones. It's also great for families and friendship groups that are spread across the country (or even further) but still don't want to miss out on important moments in your child's life. Lifecake gives you the option to add stories to your photos and I love that they're timestamped so you can work out exactly how old your child was in that very moment. Family and friends with the Lifecake app can favourite your photos (once invited) and it's great knowing your precious pictures are safely stored and accessible from the app, no matter what device you're using. As much as I love being able to store photos of Arthur digitally, I also like having printed copies that I can stick in his scrapbook and the many photo albums I've been creating since he was born. I still love looking back at the photo albums of my childhood and I hope that even in this digital age, where it's so normal to flick through photos on an iPhone, that he'll too love looking at his scrapbooks and photo albums when he's older. 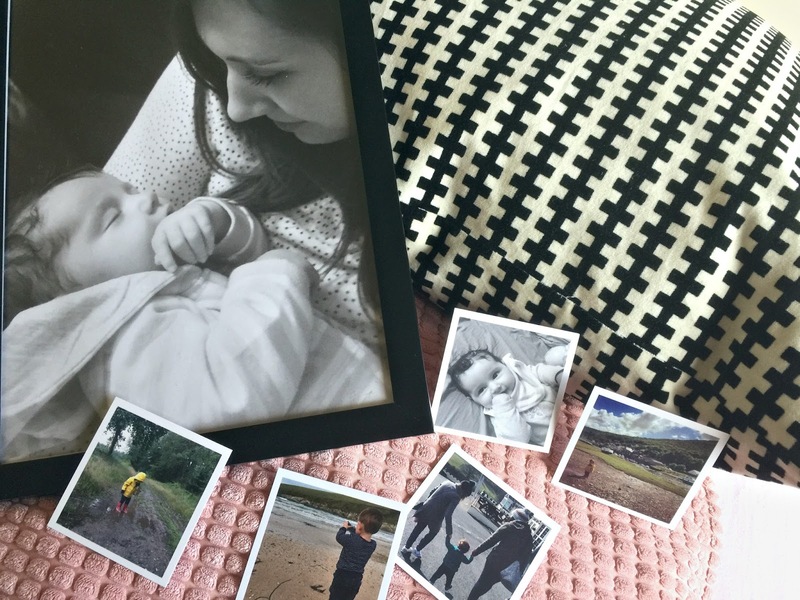 One of the great things about the Lifecake app is that it comes with a print shop, making it super easy to order a wide range of photo products straight from your phone. From prints and polaroids to calendars, invitations, mugs, bags and phone cases; the offerings are truly fantastic. 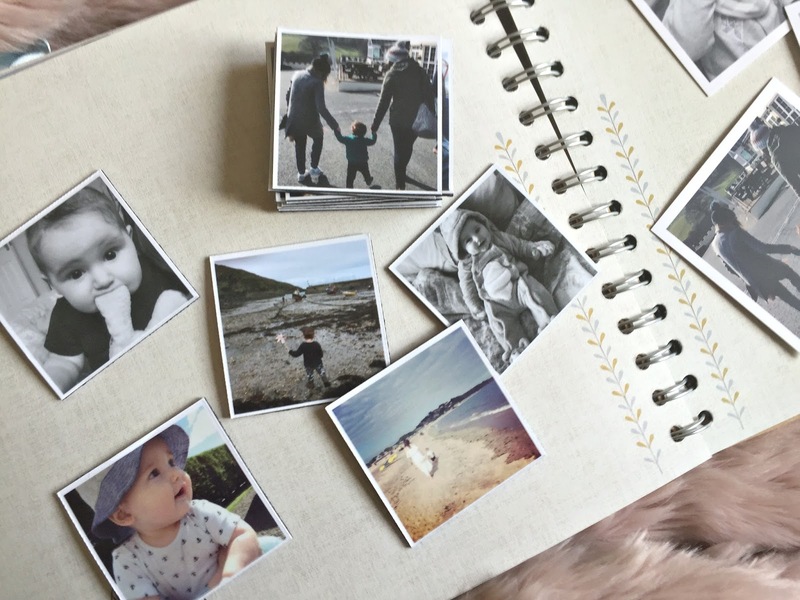 Not to mention, you can also create photobooks featuring pictures of your little one saved on your account, directly from Lifecake.com. Ordering your photo products couldn't be simpler. It's basically a case of selecting the photograph/s you would like to feature on the products, editing them to your liking and adding them to your basket! I decided that the Mini Square prints (6.8cm x 6.8cm) would be the perfect size for Arthur's scrapbook and I have to say, I'm very impressed with both the quality of the card and image quality. They're a great size for scrapbooking but they'd also look cute pegged onto a photo line display or could be hidden in a card as a nice surprise for a loved one! Sticking with the mini theme, I chose a selection of magnets to brighten up our fridge. Again, I was really impressed with the image quality of the magnets. They've also proved to be pretty robust so far and can withstand Arthur taking them off the fridge and putting them back on several times a day. Bonus points for the fact they keep him entertained while I'm trying to quickly prepare his lunch! Last but not least I chose to get one of my favourite photos of me and Arthur as a single photo poster. This photograph was taken on Christmas Eve - he was only coming up to two months old, so he was still very little and it was such a special time. The photo poster was a little smaller than I thought it was going to be (I think the word poster made me think it would be much larger and I didn't check the size) but having said this, it looks lovely framed and propped on the bookcase facing my bed. I love that it's one of the first things I see in every morning. 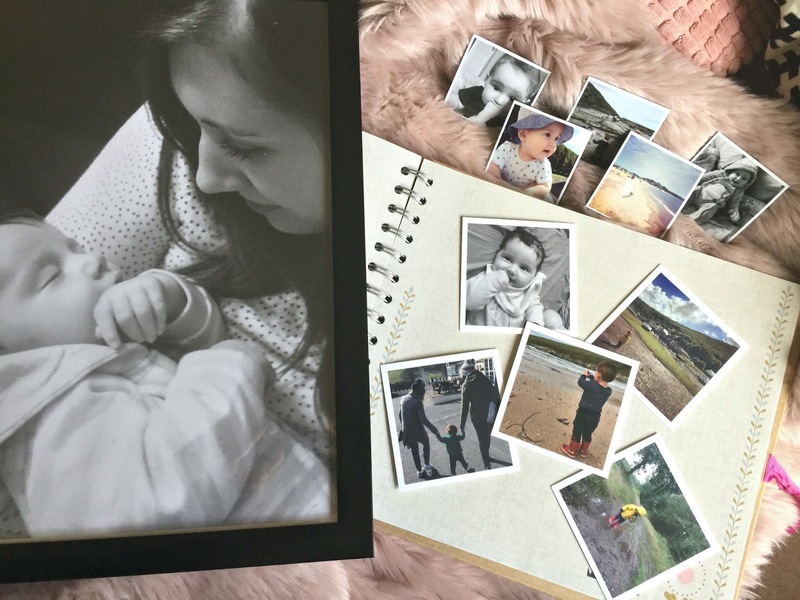 I love that Lifecake gives you the opportunity to create an online baby book but with the option to keep photos just for your family and in your control. The addition of the print shop is also a bonus because if you're anything like me, you can never have enough print outs of your baby! If you would like to try the Lifecake app yourself, you can download it for free on iOS from the app store or Google Play for Android. 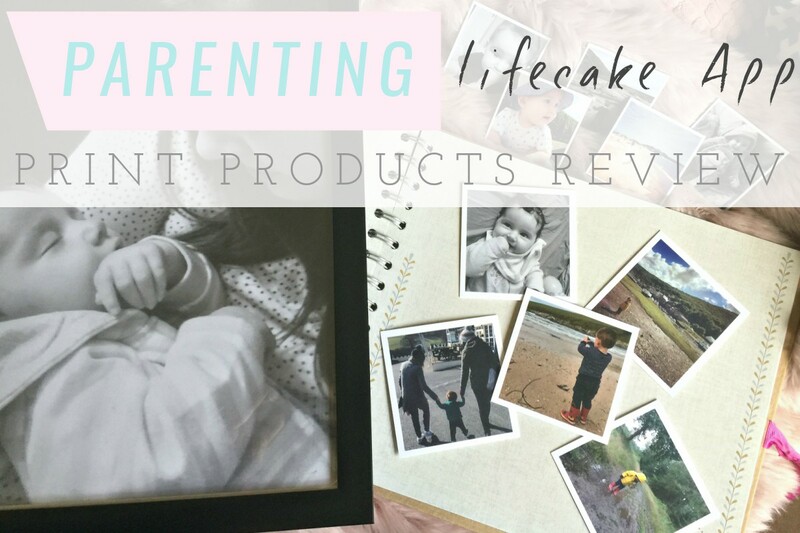 Lifecake have also kindly offered my readers an extra 10GB of storage when they download the app, along with 25% off their first print products, using the code 'seekmyscribbles' (valid until 31st January 2018.) 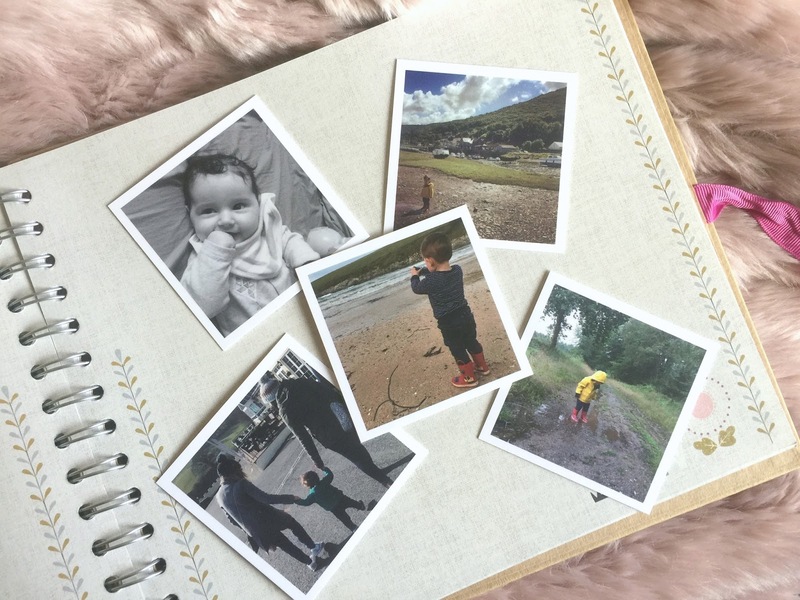 With Christmas coming up it's the perfect time to get sharing your little one's special moments and what's more, the print products will make fantastic gifts for family too! For a good few months I've been trying out some of the hair and body products from the Kind Natured range, available at Boots and I thought it was about time they got a blog feature! 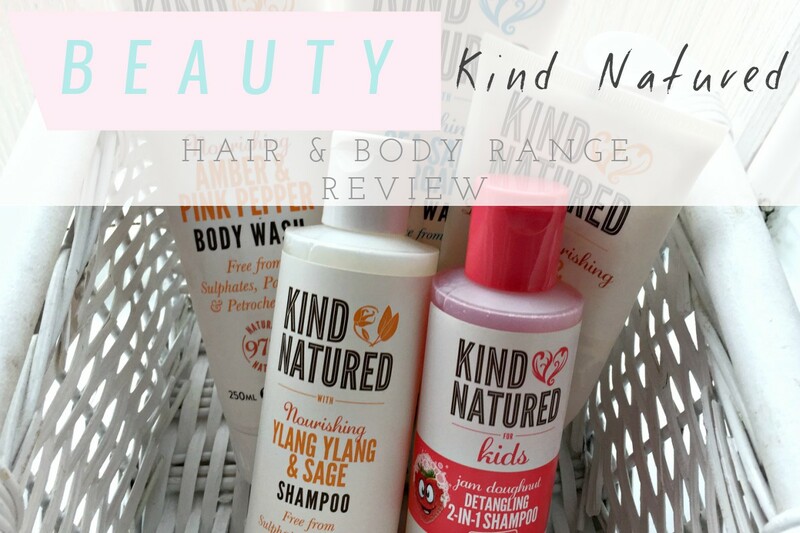 I've long been a fan of more natural hair and body ranges but I really feel like Kind Natured is a step up from some of the others I've used in the past and what's more, it's extremely well priced. Kind Natured is dedicated to offering high quality products, with at least 97% of the ingredients of natural origin. They are free from all the nasties like parabens, sulphates and silicones and they use 100% recyclable packaging. Oh and what gets them an even bigger thumbs up is that they're made in the UK and not tested on animals! I know when I've tried some of the more 'natural' brands before, the quality hasn't been quite as good - body washes haven't lathered up like they should or shampoos have left my hair feeling lifeless but I can honestly say this hasn't been the case with Kind Natured. The body washes have amazing scents - I'm currently using Amber & Pink Pepper (£4.99) and Sea Salt & Bergamot (£4.99) and they're both lovely. They lather up well, leave you feeling clean and they're also perfect for bubble baths - though Kind Natured do have a range of bath soaks, which I'm yet to try! I've also previously used the Creamy Shea and Macadamia Body Scrub (£5.99), which worked wonders on my skin. I'd describe it as a fairly gentle exfoliator but it certainly did the job, leaving my skin feeling renewed and nourished. More recently I've been using the Ylang Ylang & Sage Shampoo (£4.99) and like with the rest of the Kind Natured products I've tried so far, it's made a positive impression. Maybe it doesn't have the same lasting benefits as some of the more 'high end' shampoos out there but it smells great, cleans my hair and doesn't leave any residue like some other shampoos I've tried. I've also got my mum using the Argan & Kukio Oil Shampoo (£4.99) which she loves because it makes her hair feel soft and nourished and I've been using the Kids' Jam Doughnut shampoo (£2.99) on Arthur's hair, which smells absolutely delicious. I love that it's made from natural ingredients, which are kind and gentle on his delicate skin. Have you tried anything from Kind Natured? What did you think? I'm sure I'm not the first mother to say that getting a toddler to bed isn't always the easiest task. You can have the best intentions in the world of implementing the perfect bedtime routine but if they're not playing ball, it can all go down hill pretty quickly. Bedtime with Arthur varies. Some days he'll go off like an absolute dream and other times he'll take hours to get off to sleep. It can be frustrating on those more difficult evenings (especially when you're exhausted yourself) but I try to take a calm approach to it all and just think, it's not going to be forever! I've always been quite good at reading to Arthur before bed time but I'm especially conscious of doing it now he's a little older. 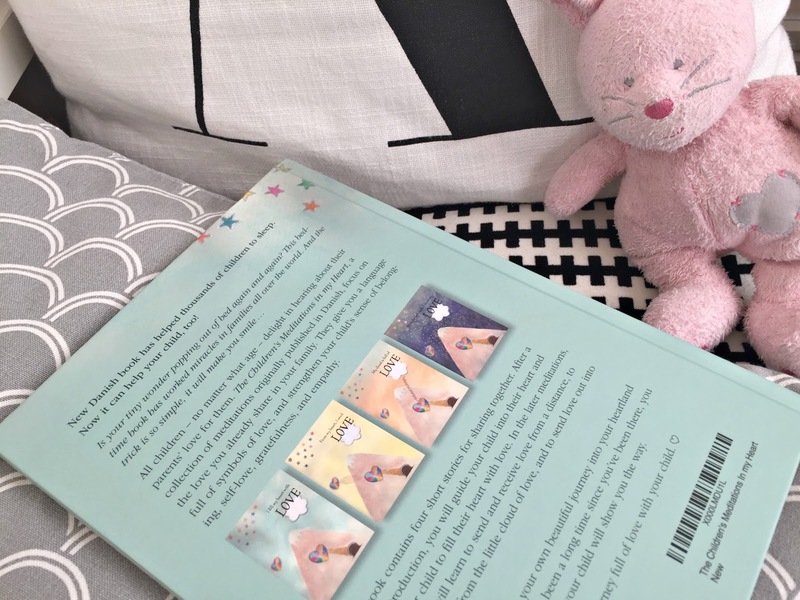 He has a selection of favourite stories, with one being a lovely story called 'Night Bear' but more recently, I've also been reading a book called 'The Children's Meditations In My Heart' by Danish author Gitte Winter Graugaard. The idea is that using bedtime meditation can help children fall to sleep easier, whilst also teaching them the importance of self-esteem and self-love. The book encourages parents to share their feelings of unconditional love for their child, with their child at bedtime and provides children with mind tools they can use to draw on that love, when they're perhaps feeling a little anxious or unsure. The book features four meditations for parents to read to their children, which Graugaard created using her own positive experience of heart meditations with her daughters. Each story becomes a little longer and more complex as the book goes on but all are easy for parents to read and understand. I think they're very well written and I find it easy to form the images in my head as I read them to Arthur, which too helps me get into a calm and relaxed state. I love Graugarrd's imagery of the mountain, where your heart lives and how she explains it has a volume button, which you can use to turn up the intensity of love. It's something I imagine children (a little older than Arthur) would find easy to picture. I also really love her cloud imagery, which she explains can be filled with love by others for when you need it or sent to others who may need a little extra love themselves. It really is such a lovely idea. As you can see from the front cover, the illustrations are extremely beautiful and relate to the stories perfectly. I've got to be honest and say that Arthur is perhaps a little too young to fully appreciate this children's meditations book at the age of two. His speech and understanding of words is excellent for his age, however I believe children would need to be a little older than this to be able to fully understand the meditation stories and put them into practice. Having said this, I do not think this should deter parents from trying the meditations with younger children. I think The Children's Meditations In My Heart really helps to set a calm tone at bedtime and encourages parents and children to share their love for one another, which is possible and important whatever their age. Although we may not be using the book to it's full potential yet, I am really glad to have introduced children's meditation at bed time and it's something I hope we'll continue to use as Arthur grows and develops. 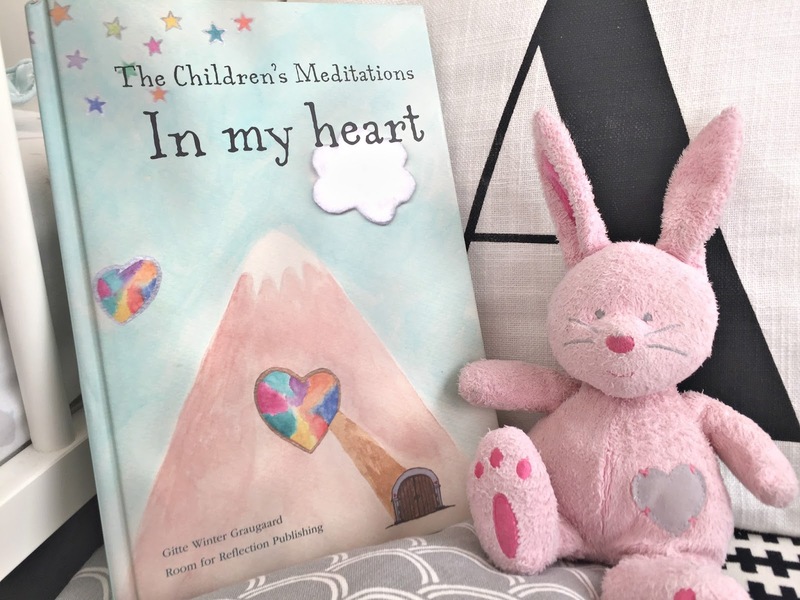 The Children's Meditations In My Heart is available from Amazon (hardback or Kindle) or alternatively a PDF copy can be purchasedfrom Room For Reflection. 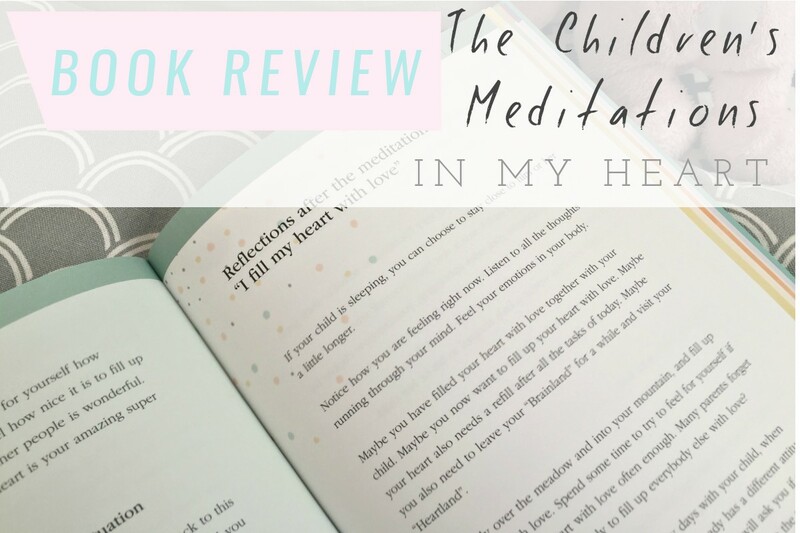 I received a copy of The Children's Meditations In My Heart in exchange for an honest review. I don't know about you but I feel like finding the perfect gifts for loved ones gets a little harder every Christmas. Maybe it's that I don't like buying the same old thing every year. I try to find more unique Christmas gifts; gifts that my family and close friends will find useful and perhaps things that they'd truly love but maybe wouldn't spend money on themselves. 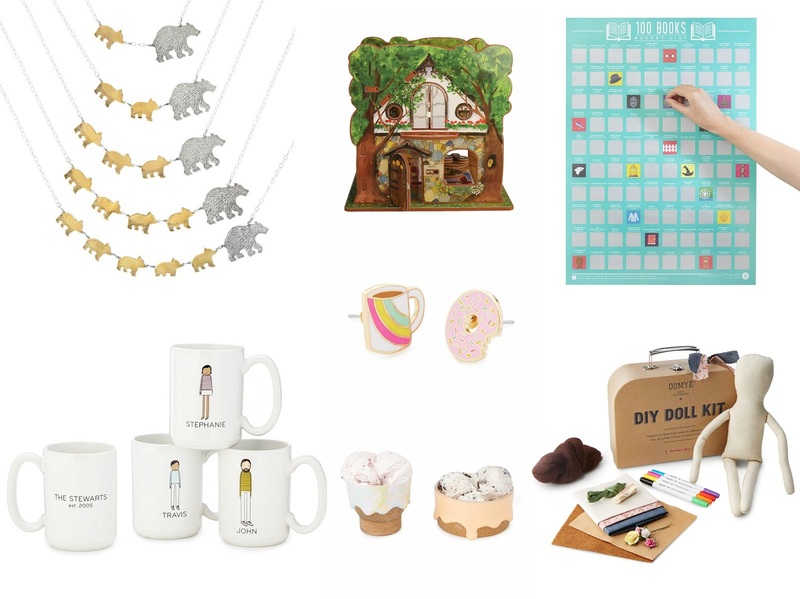 UncommonGifts offers all that and more, so when they approached me asking to share some of my favourite picks from their website, I couldn't resist! I've long been a fan of companies that support independent sellers and go the extra mile to offer customers not only unique and interesting gifts but those that are also handmade, sustainable and created in a socially responsible way. UncommonGoods ticks all the boxes, whilst also doing their bit for charity. Their 'Better to Give' programme allows every customers to choose a non-profit organisation at the checkout in which UncommonGoods will donate $1 dollar to. Yes, UncommonGoods is based in the US but the good news is they ship to the UK! Mama Bear Necklace | As a mum myself, I really love gifts related to that part of my identity. This silver and bronze handmade bear necklace is beautifully crafted and signifies a mother's protective nature. I love that you can personalise it by choosing the number of cubs, dependent on how many children the recipient has. Goldilocks and the Three Bears Toy House | Doll houses always make wonderful gifts for children and I particularly love the design of the Goldilocks and the Three Bears Toy House. Gender neutral in design, kids will have hours of fun building the three bears' house and re-enacting scenes from the accompanying storybook. 100 Books Scratch Off Poster | Perfect for the avid reader, the 100 Books Scratch Off Poster is a great way to get them through the bucket list of classics. Use a coin to scratch off the title once read and it will reveal beautiful literary artwork underneath. Coffee and Donut Earrings | With a cute and quirky design, these mis-match earrings are sure to put a smile on someone's face and will make a fantastic stocking filler. Personalised Family Mugs | If you're looking for more personalised gifting options, how about this lovely set of family mugs? Each mug can be personalised with your family member's name, along with a sketch to represent them. Choose from different clothing colours, skin tones and hair colours. We love a good mug of tea in my family and I imagine a gift like this would be a real winner! Confetti and Sweet Peach Dessert Bowls | Who doesn't love a good old pudding over the festive season? These gorgeous bowls are sure to make dessert that little more special. And what's more, each bowl is handmade from clay and molten glass, making every design completely unique. Design Your Own Doll Kit | This DIY craft kit is great for bringing out kids' creative side. Inside you will find an organic cotton doll, handmade by a women's collective group in India, along with the materials to make three changes of clothing. The thing I like most about this gift is that for every doll created, one is sent to an orphan or vulnerable child - what better way to get into the spirit of giving during the festive season? 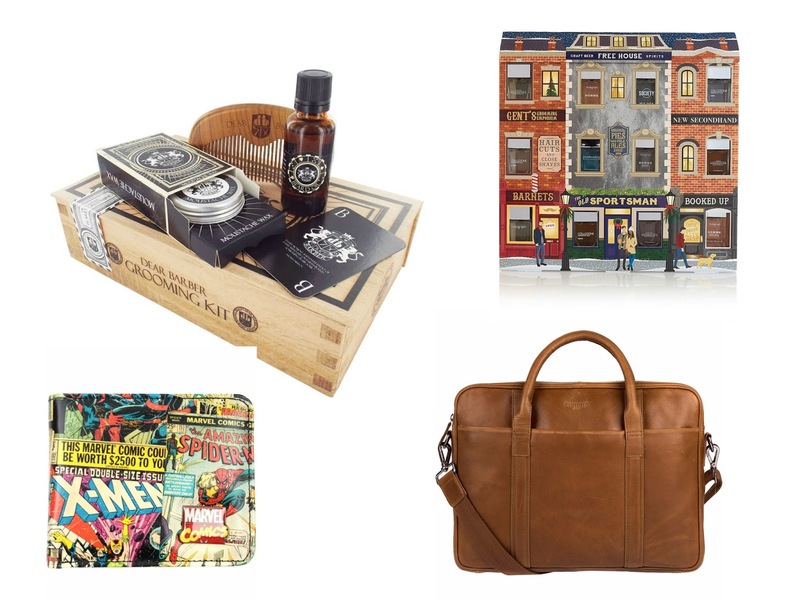 So there we have my top Christmas gift picks from UncommonGoods. I hope it's provided you with a little inspiration if you're looking for a more unusual or handmade gift this Christmas! 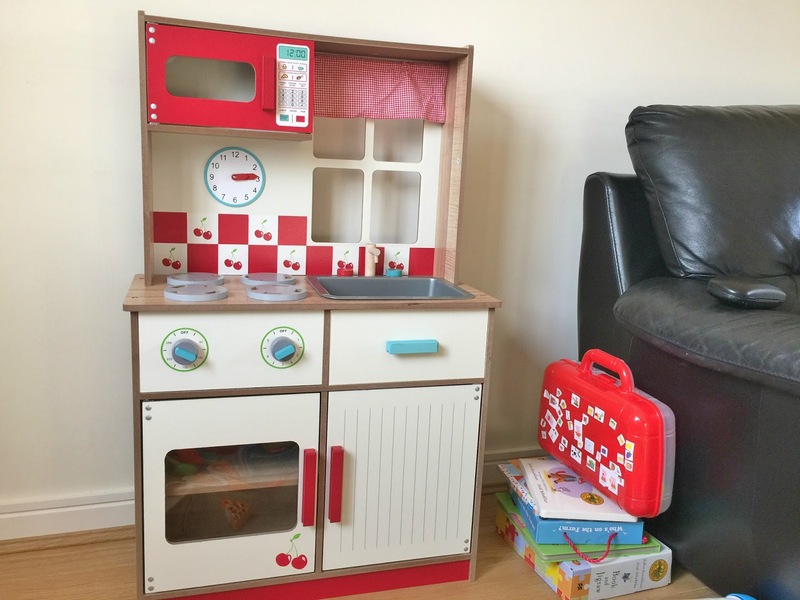 Arthur turned 2 a few days ago and as his main birthday present I bought him the Home Deluxe Kitchen from George. I had been searching for the perfect play kitchen for a good few months and for me, this one ticked all of the boxes. I don't know why (maybe it's a little snobby) but I really wanted to buy Arthur a wooden play kitchen. I think they just look cuter and this one from George has certainly been finished to a high standard. 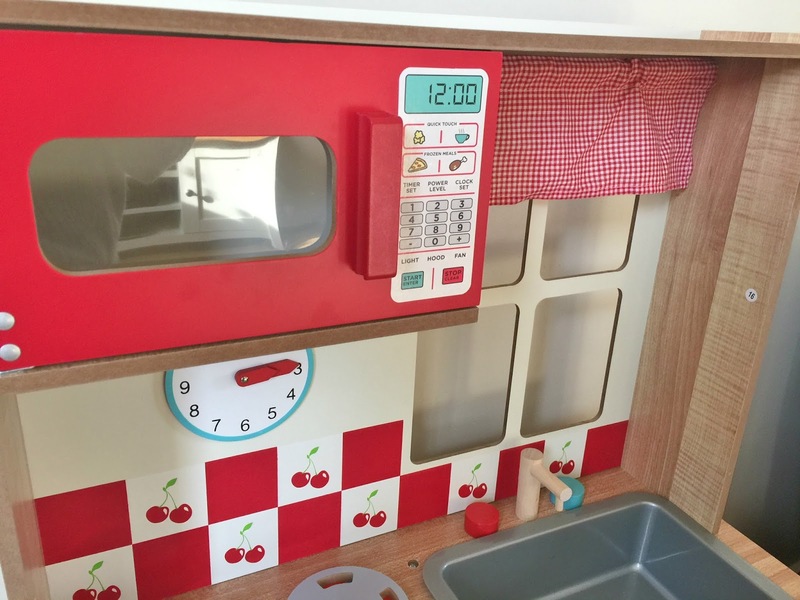 It has a lovely red and cream cherry print design and comes with a microwave, sink, hob, drawer, oven and cupboard - everything your little one needs for imaginative kitchen play! Another advantage of the George Home Deluxe Kitchen is that it doesn't take up a lot of space. At 89cm x 56cm it is relatively small in size but big enough for your child to be able to play at it properly. It says that it takes an hour for 2 people to build and Arthur's grandad did it alone in 1hr 5 minutes, which I think is pretty good going. As an ex-kitchen fitter, I couldn't think of a better person for the job haha! 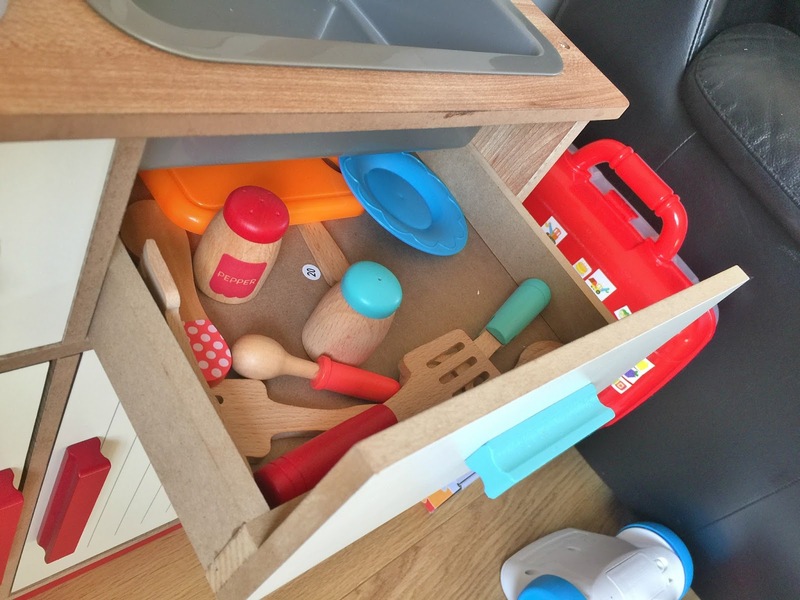 In terms of functionality, the microwave, oven, cupboard and drawer all open, allowing your little one to put food and utensils inside them. The hobs turn to show blue or red and the dials and clock hands also turn too. Arthur has already had so much fun playing with his kitchen and I love that it gives him the opportunity to use his imagination. Having done a little research, I definitely think the George Home Deluxe Kitchen is one of the best priced out there. I think £40 is very reasonable and I was also happy to pay the extra £12 wooden cooking set. I can't seem to find the red cherry print cooking set on the George website at the moment but they do have the same pan set in a different colour-way on sale for just £9.60. There are so many different accessories and food you can buy to go with children's play kitchens. 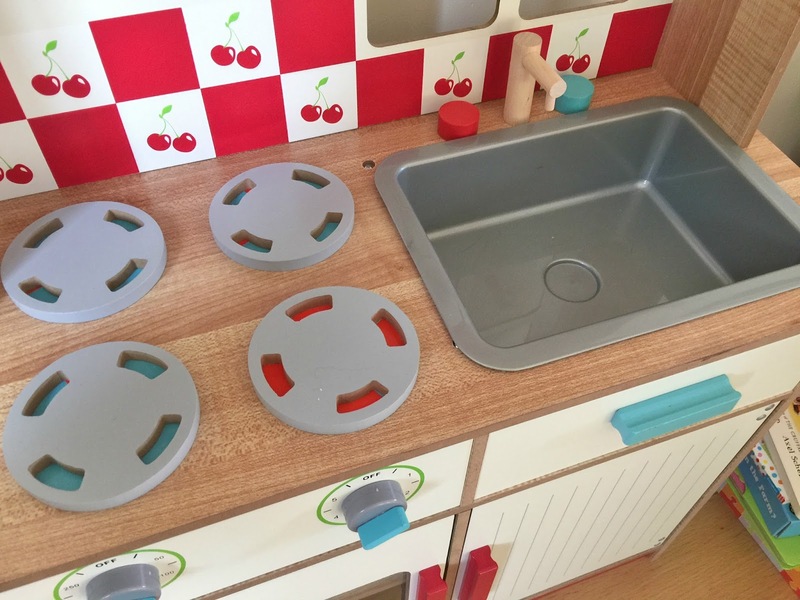 I decided to just buy some plastic cutting food on eBay and we also found some lovely play kitchen accessories like toasters, coffee makers and baking sets at the Early Learning Centre too. 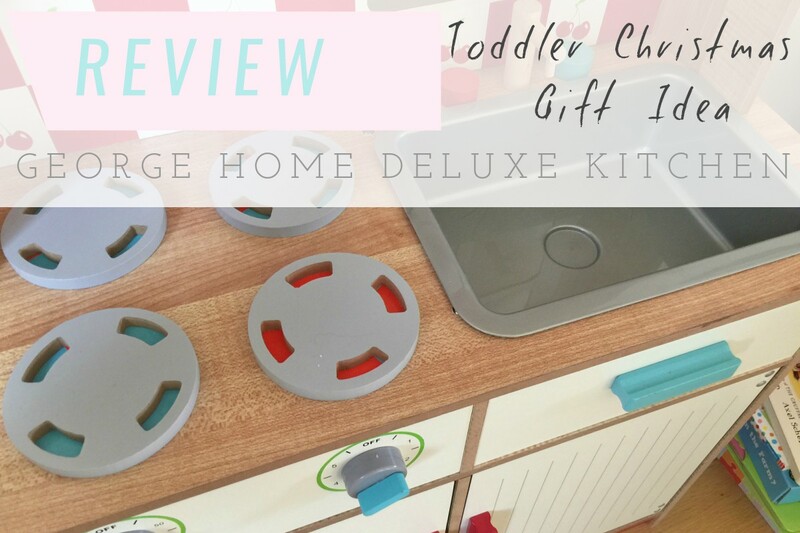 The reason I wanted to share my review of the George Home Deluxe Kitchen is that I think it'd make a fantastic Christmas present for toddlers. 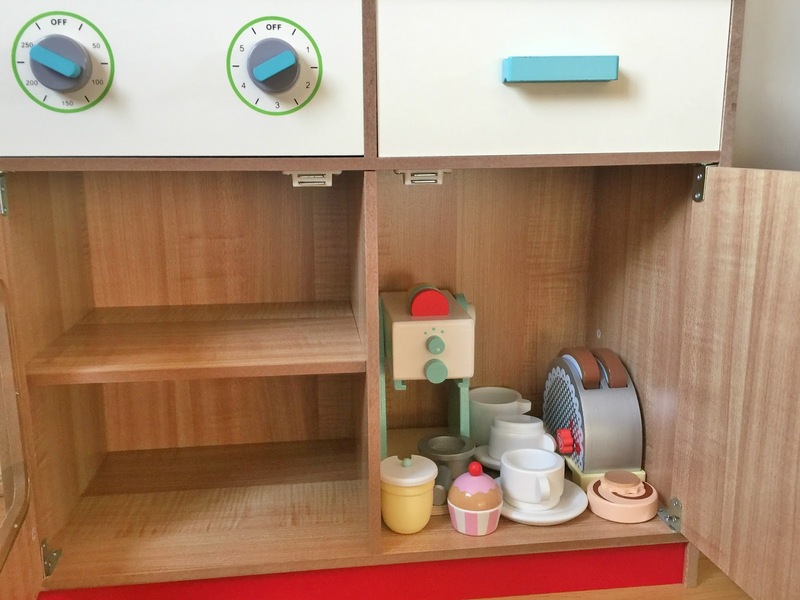 I think Arthur is the perfect age for his play kitchen but I imagine he'll still get enjoyment out of it for another couple of years and with any luck it'll be something I can keep or pass along.